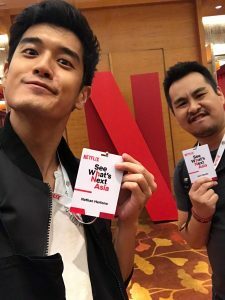 This week the Good Hang Guys were invited to See What’s Next Asia, Netflix’s press event that showcased what the streaming service giant had in store for the near future. There was free food, panels, celebrities… much merriment was had! Then, test your Netflix knowledge and play along in a round of Alternate Titles: Netflix Edition in a super fun GAME TIME! All that and more, so get off your watch list and get into your listen list, with Good Hang Episode Ninety-eight!!! !